Glove There are 2 products. Gove for the kitchen with blue, brown, green and white lines. 100% cotton exterior and 100% polyester inside. 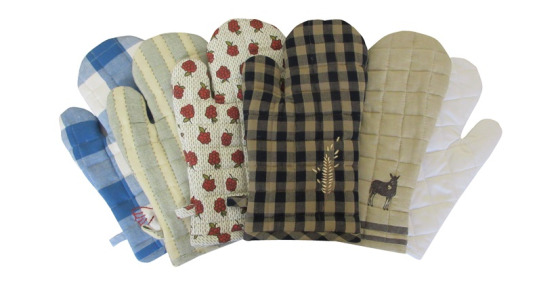 Gove for the kitchen quilted Provence. Colors: red, yellow, green, brown and orange. 100% cotton exterior and 100% polyester inside.